Focal length is an important term in photography and in its simplest definition it is the field of view for a particular camera lens. The focal length determines how much of a scene the camera sees. It can vary from wide angles that can take in an entire landscape to telephoto lenses that can zoom in on a small subject in the distance. When shooting with any type of camera, but especially a DSLR camera, it is important to have a good understanding of focal length. With some basic knowledge, you can choose the right lens for a particular subject and will know what to expect even before you look through the viewfinder. This article will help you understand focal length and explain the importance of focal length in digital photography. Here is the scientific definition of focal length: When parallel rays of light hit a lens focused at infinity, they converge to form a focal point. The focal length of the lens is the distance from the middle of the lens to this focal point. The focal length of a lens will be displayed on the barrel of the lens. Lenses are usually categorized as wide-angle, standard (or normal), or telephoto. The focal length of a lens determines the angle of view, so wide-angle lenses have a small focal length while telephoto lenses have a large focal length. There are two types of lenses: prime (or fixed) and zoom. A prime lens will have only one focal length (e.g. 50mm). A zoom lens will cover a range of focal lengths (e.g. 17-40mm). Zoom lenses are convenient because you can quickly change focal lengths while looking through the viewfinder and you do not have to carry a camera bag full of lenses around. Most amateur digital photographers can get by with one or two zoom lenses that cover the full range of focal lengths. One thing to consider, however, is how big of a range you want in a single zoom lens. There are many lenses that go from 24mm to 300mm (and anywhere in between) and these are very convenient. The issue is often the quality of the glass in these lenses because of the wider the range, the more elements the light has to travel through. If you are interested in one of these dynamic range lenses and want the best picture quality, it would be best to spend more money on a top-quality lens. Prime lenses have two main advantages: quality and speed. By speed, we are talking about the widest aperture (f/stop) built into the lens. At a lower aperture (smaller number, wider opening), you can photograph in lower light and use a faster shutter speed that will stop action. This is why f/1.8 is a coveted aperture in lenses. Zoom lenses rarely get this fast and if they do, they are very expensive. The prime lens is also much simpler in construction than a zoom lens because there are fewer glass elements inside the barrel and they do not need to move to adjust focal length. Less glass to travel through means that there is less chance for distortion and this often provides a much sharper and clearer photograph. 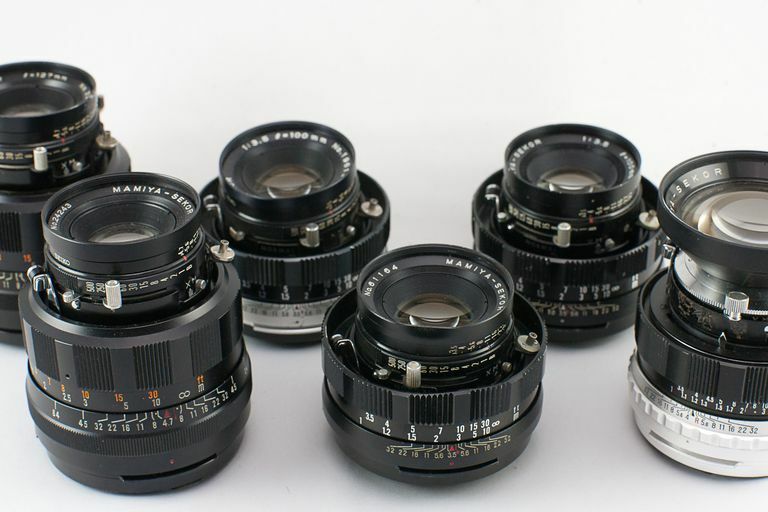 The focal length of lenses was set back in the days of film photography and relates to the focal length of a lens on a 35mm camera. (Keep in mind, though, that 35mm refers to the type of film used and not a focal length!) If you are lucky enough to own one of the professional full-frame DSLRs, then your focal length will be unaffected. If, however, you use a crop frame (APS-C) camera, then your focal lengths will be affected. Because crop frame sensors are smaller than a 35mm strip of film, magnification needs to be applied. The magnification varies slightly between manufacturers, but the standard is x1.6. Canon uses this magnification, but Nikon uses x1.5 and Olympus uses x2. Most manufacturers now make lenses that allow for this magnification, which only work on crop frame cameras. This is particularly useful at the wide-angle end of things, where magnification can turn these lenses into standard ones!